The NVAL- North Valley Art League - presents Plein Air and Abstract Paintings by local Viola artist Howard Luke Lucas. Plein air paintings include travel paintings from Barbados, Cuba, India, Mexico and the Central California Coast, as well as paintings done at recent Mendocino, Lost Coast (Shelter Cove) and Whiskeytown Open Paintouts. Abstract paintings include mathematical and erogenous themes. Fine Art Work and prints are available for sale. This is a free public event where all ages are welcome. Painter Howard Lucas has a passion for plein air. He seeks to capture the energy and essence of a place through his art. 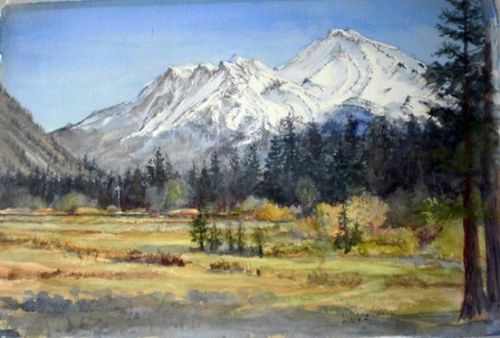 For more information about Howard Luke Lucas, please check out his website and Facebook page for Mt Lassen Art Center.